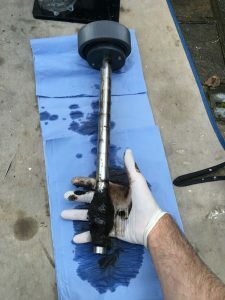 In order to get the best and most energy efficient use out of your old or new heating system a Powerflush is sometimes required. 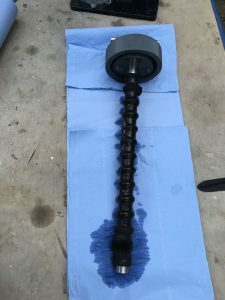 Powerflushing is the term used to denote the process by which heating systems are forcibly cleansed using water and cleaning chemicals at a high velocity. Debris can build up over years due to lack of maintenance or it can collect quickly due to poor system installation practices or errors on the system pipework. This debris can cause the boiler and system to become noisy due to water circulation restriction and also stop radiators or the boiler itself from operating. A Powerflush can remove this debris. 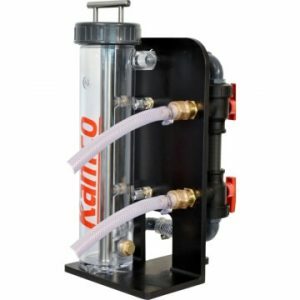 The system can then, with the fitting of a magnetic filter and regular doses of inhibiting chemical, be effectively protected from debris build up over the rest of its life span. It is also prudent to Powerflush an existing system prior to a new boiler being fitted to prevent possible future problems occurring. Many systems can be found to have debris and corrosion within them but do not, at the time, have problems yet. Existing debris is often mobilised by alterations to the system/piping and the increased efficiency of the new boiler. This debris may then accumulate in the boiler heat exchanger, causing noisy operation, reduce efficiency and, in extreme circumstances, failure of the boiler. The high efficiency and compactness of modern boilers, developed to minimise fuel costs and pollution, means that they are more susceptible to problems caused by debris in the system water. 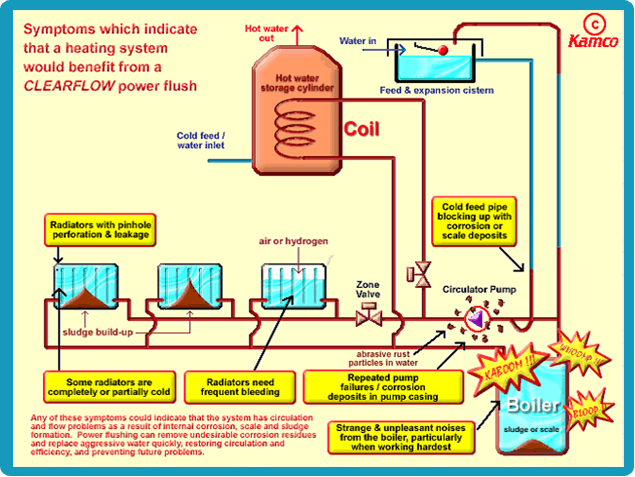 Most heating systems can be Powerflushed although it might not be as effective on some mircobore systems. On gravity fed systems some alteration to the system pipework will be necessary. 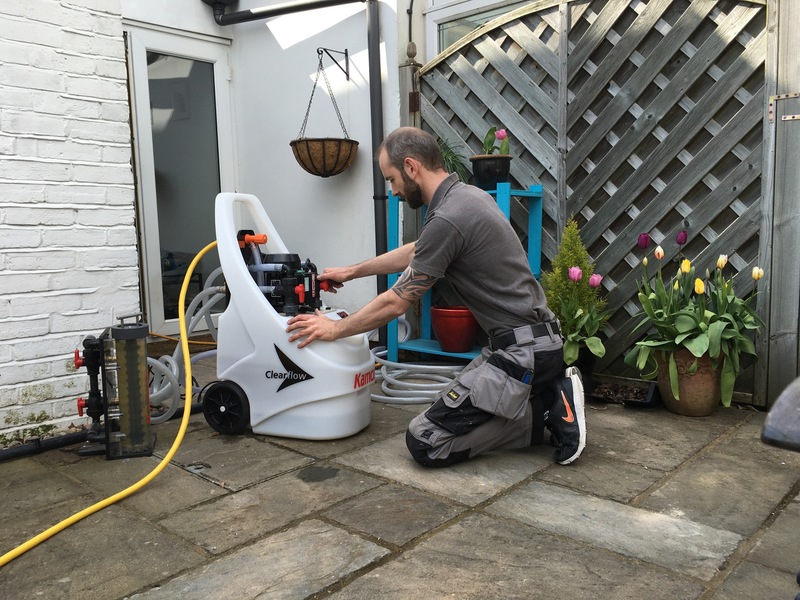 Please be aware that Power-Flushing is never a guaranteed solution to a badly decayed system and also puts strain on your system it wouldn’t normally have. All plumbing systems should easily cope with flushing, but in badly broken down systems this extra force combined with the chemicals from a flush can accelerate problems that would only occur in the future and is probably better to happen during a flush as a qualified engineer would be on site should the worst happen. Leaks in pipework joints, old radiator valve glands, pin holes in radiators etc. 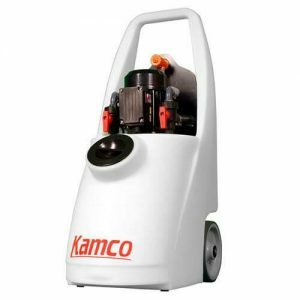 Any problems that occur during a flush will of course be put right, but at additional cost to the customer. Please contact us to arrange a visit to give you a quote for a Powerflush of your heating system.